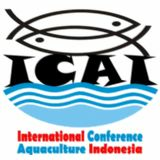 “Feeding the World and Making Prosperity Through Sustainable Aquaculture”. Abstract will be accepted until July 15th 2017 and September 10th for the full paper. Further information for abstract registration and registration form.